The Life and Times of the Red Dog Saloon will be screened Friday, April 2, at the Museum of Performance & Design, 401 Van Ness Avenue, San Francisco, CA 94102 (415) 255-4800 as part of the current exhibition Somethin’s Happening Here: Bay Area Rock ‘n’ Roll 1963-1973. The screening will include a conversation with the film’s director, Mary Works and musicians Peter Albin (Big Brother and the Holding Company), Stephen Ehret (The Wildflower) and Mike Wilhelm (The Charlatans). 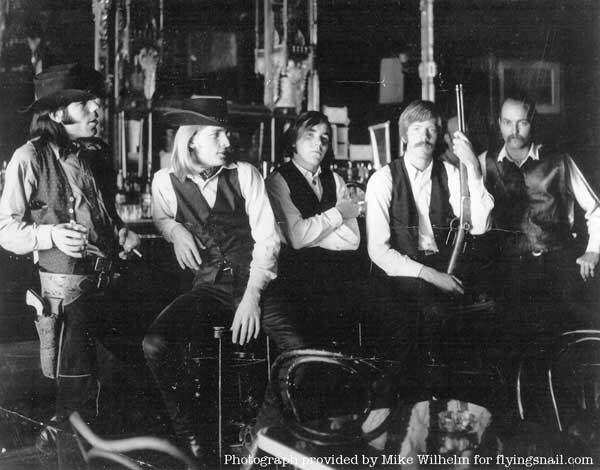 If the psychedelic sixties were born in the dancehalls of San Francisco, then they were conceived in a saloon in Virginia City, Nevada. The Life and Times of the Red Dog Saloon is the story of the Red Dog Saloon and the unique extended family that grew out of those wild times. It is told with intimate interviews, woven together with music, poster art, photographs, and rare archival footage. 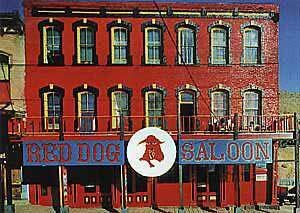 The Red Dog was the first of the dancehall venues, a place where the Wild West was enacted on a daily basis and a new kind of rock ‘n’ roll was being played. The film focuses on the music, the art and the lifestyle that made the culture of the sixties possible. This documentary presents a missing piece of Nevada history and a uniquely American story. Principally photographed in Nevada at the 25-year reunion of the Red Dog Saloon, the film features footage of Big Brother and the Holding Company, The Great Society, The Wildflower, The Charlatans and other seminal bands of the era. The filmmaker is the daughter of one of the Saloon’s founders and was the only person entrusted with access to their lives and attics. A Red Dog Enterprises production. Produced, directed by Mary Works. Screenplay, Works, John Nutt; narration by Works, Nutt, Ernie Fosselius. Most people think the "San Francisco Sound" of the late '60s sprang whole from the Grateful Dead, Jefferson Airplane and a few other famed rock groups. But "The Life and Times of the Red Dog Saloon" chronicles a lesser-known scene that laid the groundwork as early as 1964. While Mary Works' long-in-the-making docu offers much invaluable info for fans of '60s music and culture, further tweaking in the realms of pace and structure would improve its appeal to specialty-theatrical and broadcast outlets. In '64 a few enterprising souls conceived of opening a "Wild West Saloon" in an unlikely place -- Virginia City, Nev., a onetime Gold Rush boomlet since turned near-ghost town. (Legend has it the idea struck during a marathon, ISD-laced session of the board game Risk.) Construction and service staff were recruited among like-minded students, friends and miscellaneous alternatypes throughout Northern California. 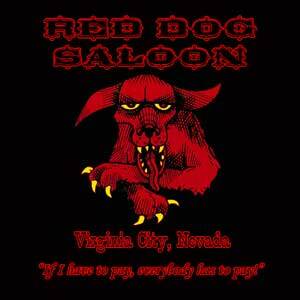 Despite initial wariness from locals, the Red Dog Saloon was an instant smash. Nobody had seen -- or heard -- anything quite like it. Old-timey Western motifs combined with prototypical psychedelic lighting effects; go-go girls stoked the general dancing frenzy; rural isolation (and, no doubt, local law-enforcement naivete) encouraged rampant drug experimentation. Sound editor-turned-helmer Works deploys a surprising mine of archival material, as well as anecdotes from numerous surviving participants. (Each onscreen speaker is carefully identified; too bad the same courtesy wasn't extended to naming bands in, or dating, old performance clips.) But docu spends too much time evoking the Red Dog scene, a full hour that could easily be trimmed. Greater excitement -- and a welcome larger context -- arrive when this scene begins trickling back to S.F. There, proselytizing Red Doggers find a whole populace of similar "longhaired freaks" has sprung up in their absence. Spinoff "psychedelic dance halls" arranged by R.D.S. vets rapidly build up an audience, as well as bands that would soon explode nationwide: the Grateful Dead, Quick-silver Messenger Service, the Great Society (aka Jefferson Airplane). Parallel developments in trippy poster design and light-show magic are charted as well. 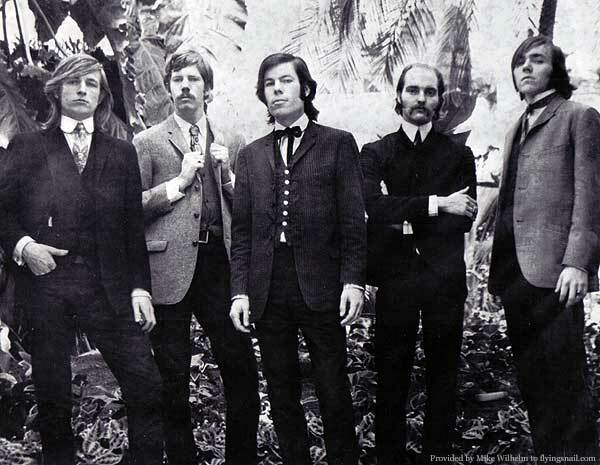 One problem here is that, while the bluegrass/blues/period-novelty-inspired Charlatans and others surely broke ground in attitude and sound, their longer-lasting successors took "electric folk-rock" in far more dynamic directions. Footage of musicians reunited for a 25-year-reunion celebration is less than scintillating, with some players clearly long removed from top singing and playing form. Other stumbling blocks are organizational. One of Works' best episodes is an archival montage (set to an Airplane tune) that captures S.F. 's heady flavor at the height of hippiedom in 1966-67 -- even if participants then comment how quickly media attention soured that idyll. It's moving, too, when principal interviewees discuss how "tribalist" friendships and values forged back then have sustained them since. Yet Works follows this logical closure point with a long sidebar on the atomic/materialist 1950s, whose conservatism fueled subsequent youth trends. This overview would have provided pic a useful, funny, scene-setting intro; awkwardly placed as a "caboose," it seems gratuitous and pat instead. Though that seg should be reshuffled, and others trimmed toward a pacier overall package, "Saloon" remains an enjoyable back-trip. Tech aspects are decent, sound and visual quality of archival materials expectedly variable. Occasional narration read by actor Howard Hesseman is a bit hokey and verbose at times. Camera (color, 16mm), Jamie Maxtone-Graham, Stephen Lighthill, Meg Patridge, Jerry Slick; editor, Nutt; sound. Bob Gravenor, Charlotte Gravenor, Jeff Cotton, Willis Allen, Krysten Mate Comoglio. Reviewed at Variety Club Screening Room, San Francisco, Sept. 17, 1996. (In Mill Valley Film Festival.) Running time: 105 MIN.